Arizona’s warmth extends beyond its desert climate and into its rugged people. Its rich history and dramatic views make it a place for exploration and adventure, but it’s also the perfect spot to indulge in arts and culture. 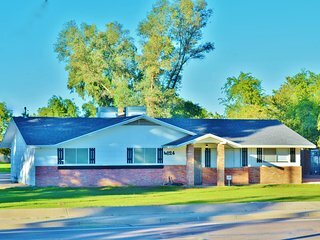 Choose from one of many Arizona vacation rentals so you can stay and explore all this state has to offer. Arizona boasts intriguing landscape with plenty of opportunities for hiking, skiing, and other snow sports around Snowbowl; boating and water sports; exploring caves; horseback riding; camping; biking; fishing; and golf. A number of state and national parks allow you to explore the majesty of this desert state. Stand at the edge of the Grand Canyon and watch the deep colors of rocks change with the position of the sun, check out the Painted Dessert, or hike amidst the magic of Sedona’s red rock. 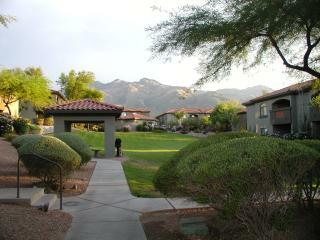 Arizona is a feast for the eyes, with an energy that is invigorating and yet soothing. For those who prefer indoor activities, Arizona doesn’t disappoint. With world-class museums, like Phoenix’s Heard Museum and Scottsdale’s gallery walk, arts and culture are celebrated in this glorious state. Sedona’s inspiring red rock and vortices (energy pockets) make it a favorite among artists. Like most desert climates, it can be one of extremes. Arizona also has mountains, so not all parts of the state are hot and dry year round. Even areas that reach over 100 in the summer months cool down to jacket weather at night. As you would expect, the mountains in Arizona are cooler and snow-topped for most of the year. Northern and North Central Arizona, including Flagstaff and the Grand Canyon, are considered mountain climates and receive much higher rainfall than the central and southern parts of the state. Arizona offers a number of cultural, arts and crafts, sports, native cultures, and wildlife events, including many fairs and festivals. Early January brings the Old West re-enactment groups to the Gathering of the Gunfighters to Yuma. The Parada del Sol in Scottsdale in February is the largest horse-drawn parade in the country. While you’re in Scottsdale in February, spring training is a must-see for baseball fans. The beginning of the summer ushers rodeo riders into Prescott for the World’s Oldest Rodeo, also known as Prescott Frontier Days. As the weather cools, visitors enjoy Oktoberfest at Tempe Town Lake in Phoenix and the Arizona State Fair. One of the state’s most unique events is the Bisbee 1000 The Great Stair Climb. Participants run or walk the 4.5 mile course that conquers nine sets of steps for a total of more than 1,000 steps. This costumed fun is a serious chip-timed event but many prefer the leisurely stroll version due to its impressive views and scenic back roads. 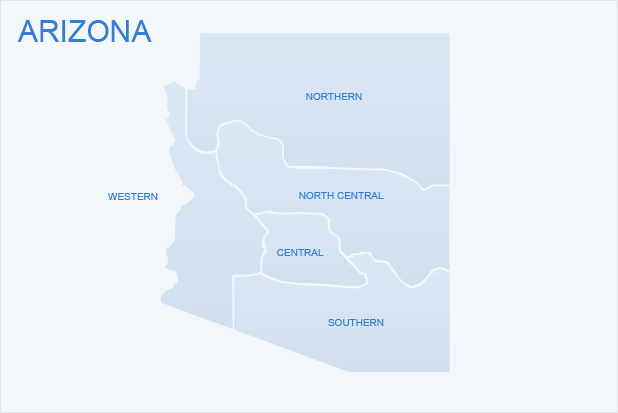 Central Arizona – your best choice in a metropolitan setting, look at Scottsdale or Phoenix. Sedona, just north of Phoenix, provides guests with beautiful vistas. On the outskirts of Phoenix, Fountain Hills offers the best of both worlds (one foot in the city and one in the beautiful country of the Tonto National Forest). To see nature at its best, visit the Grand Canyon. If you stay in southern Arizona, go into the Arizona-Sonora Desert Museum in Tucson. This is actually a beautiful zoo and botanical garden. History buffs love the Native American history and archeological sites in Arizona. Guests staying in Scottsdale often visit the Heard Museum, a private collection of Native American art. If you like the old West, Tombstone is a “don’t miss!” If you love the cowboy life, visit the “Shoot Out at the OK Coral” in Tombstone. Old Tucson is not that old (it was from Hollywood sets for western movies), visit the Old Tucson Studios for a look at how films were made in the area. Birding for guests in Southeastern Arizona and Fountain Hills is sublime. Three hundred and fifty different species of birds have been spotted in Arizona. Birdwatchers from all over flock to Arizona to hone their craft and see some rare birds. Towns along the “West Coast” offer great opportunities for water sports. Lake Havasu rentals are well-liked by water sports enthusiasts. The Flagstaff area offers white water action too. 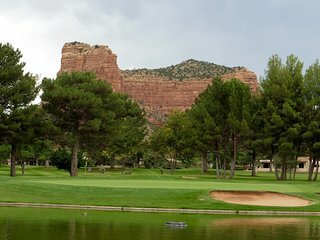 Golfing aficionados love Arizona’s golf courses. Tucson & Scottsdale feature dozens of award-winning courses. Like to ski or want to learn how? Go to the High Country to find fresh powder. Arizona’s rich history and dramatic landscape make it an ideal vacation spot. The Grand Canyon State offers a variety of indoor and outdoor activities, including tons of Arizona vacation rentals, from art walks to a chance to see your favorite baseball team warming up for what could be their year. The mix of cultures, climates, and minerals will paint your dreamscapes for years to come. 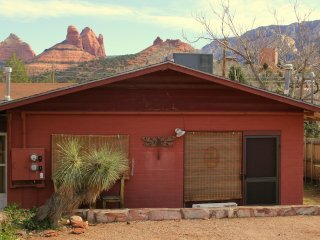 If you’re ready for photo worthy vistas and fresh air, check out Vacation Home Rentals’ Arizona rental listings (including the ever popular Sedona vacation rental).